Earlier draft of the ‘FP’ title bar. Welcome the mark II version of The Filthy Platen. Feel free to put your feet up on the furniture. I at least own my own home here. While it may seem that the move to this new blog has been drastic and sudden, that isn’t really the truth. I’ve been planning a shift away from blogger for some time now, after blogger started to become rather ‘unstable’. I have been working on the design for a new blog for some time now, but never really in ernest. I created a little folder in ‘Paper by 53’ on my iPad, and just generally sketched the ideas that I had. I wasn’t happy with any of the ideas, and I just kinda left it sit until I had some kind of solid inspiration. As it turned out, that inspiration came from Google itself, and rather unexpectedly. Blogger – or Blog spot, where the Filthy Platen has been hosted up until now, is owned by Google. One of my biggest beefs with Google is that they were very reluctant to commit any further resources to Blogger, and as such the service only occasionally received tiny periodic updates. Often these updates were just to incorporate blogger into another Google service that would probably fail and be shut down within a couple of years. Sadly bugs in blogger would go unattended for months. Nothing was dramatically wrong, but it showed how little Google valued the platform, and the lack of resources it was willing to devote to it. While this was the motivation to move, it wasn’t the tipping point. That came about a week ago when I clicked into a YouTube (also owned by google) video. Often ads in YouTube are based on keywords that Google has gleaned from your email. As I haven’t been exactly happy about Google searching my emails, I have moved most of my correspondence over to another email account that wasn’t subject to the same invasions as Google – and simply left my Gmail for just junk stuff. Miss Jane and I have been dealing with some pretty big decisions lately, and of course some of this discussion has happened email when specific things needed to be dealt with quickly. While I’ve been using anything but my Gmail address for this, Jane still uses her Gmail as her primary service. However, much to my surprise I suddenly found myself watching a 5 minute paid advertisement on YouTube that was related to topic of which we were privately working though. In other words, Google has somehow related Jane to me, and addressed key-word topics for advertising indirectly at Jane via me. It appears that Google may be tracking relationships and personal connections, as well as our search topics and email key-words. 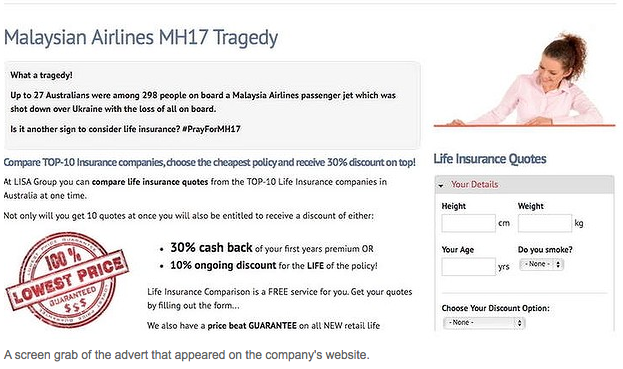 Google recently sold the rights to the ‘MH17’ keyword search to an Australian life insurance company. To me, that was it. I’d even been using the ‘Bing’ search engine lately to do my research on my iPad, and ‘Duck Duck Go’ on my computer, in order to avoid these privacy problems. Unless Google has a connection with Facebook (I had discussed the topic in some private messages on there), I’ll be stuffed if I know of any other way that Google would have been gaining that information. So that was it. It was time to de-google. This wasn’t a hard decision. Every time I enter into Google+ I am bombarded with updates from Anti-Apple… Sorry, I meant ‘Android’ groups that I’m not even a member of, where members never talk about Android but rather just slag off Apple products. I felt like I had to apologise for using an iPad every time I logged in. That, along with the inconsistent services on the products I used and the breeches of privacy, I’d had enough. Sure, I’ll still use blogger to comment on other people’s blogs. I’ll no doubt use google for searches, image searches and maps. But it is clear that I need to thin out my reliance on Google, and it became quite important to stop providing them with ‘content’ on services that they owned. I hope you like the new look. I’m pretty happy with it for now. It matches some of the greater goals that I have for the future of this blog. But more on that later. So please, if you could update your blog-rolls and links – and possibly even subscribe to my new blog, I’d be very appreciative. Thanks for coming! Would you like some cake? I like the new look, Scott. Not that there was anything wrong with the old one. I’ve added your new dot com blog to mine. I assume I can remove your old one? Oh, by all mean, please! I’ve transferred everything to here, so there should be no problems removing the old one. Nice new blog. I too have been thinking og deGoogling for quite a while. My problem is finding time to do it. I started G+ with a different gmail address and found I seldom use either since most all was spam and things I was not interested in. I guess Google some how ties searches and such to accounts to spam one’s G+. I’ve not been on it for over a year. I’m very anti Micro-anything so I doubt I’ll use any of their sites or services either. I’m not quite as anti-Google. I’ll add your new blog link to my list. Thanks a heap for that Bill. I’m pretty sure I have a link to your blog over there on the side. Let me know if there’s anything else you want me to link. Good luck on your new site. I’m thinking, for the sake of many other Blogger users on the Typosphere, perhaps you can address in a future article the ins and outs of hosting your own website. As for the privacy of email, I look upon it as similar to a telegram or postcard, where whoever handles it can read it, the major difference being in this case that we have entire organizations structured to exploit the content of our email. One solution is encryption, but there needs to be simpler, more flexible solutions, not to ensure security against nation-states but against commercial snooping (not that there’s a big difference between the two, these days). Certainly sounds like a reasonable request. I’ll definitely cover that when I can. Google is a would-be-monopoly and they’re very good at creating paths of least resistance into their Circle. I am impressed by your independence and you’ve made me think. Thanks Richard. It has been an interested learning curve, and I’m not quite finished yet. And you’re right, it is definitely a ‘monopoly services’ issue. I’d be pretty happy to see such a shift, personally. Not that the WordPress system is great, but it is a world away from Google’s clumsy ownership of life…. Oh, I was straight onto that. I definitely found it useful with my other ‘Wartime’ blog. I like the looks a lot. Very fresh! Yeah, I wasn’t getting much of a response from that either, and I do hope they pick up their act a little. Thank you! I was trying to give it a bit more of a professional and widely more readable look. I’m glad I am showing the new url in my blog feed, so I don’t have to mess with it. If I may interject a political note, when I was young I was Libertarian, as I felt that the govt. was “oppressing” me, even though I didn’t care for any illegal activities. As I matured I learned over and over and over that private industry was a much greater threat to my rights, liberties, and the commons, and I became liberal in response. Yeah, I figured out how to give an RSS redirection via blogger! That made things a heck of a lot easier. I know where you are coming from there, and I too have made that personal transition over time. Impressed by your new site – like the clean looks. Thanks for the feedback! I’m a lot happier about how this site looks. It doesn’t quite work perfectly yet, but it is getting there. I’d strongly suggesting backing up your data. It may seem like a small thing, but it at least will help you keep your text in the event of a google meltdown. nice new template, and nice front page content layout. And props to de-googling: even though you’re being logged (impersonally) for data, it’s still very creepy when they cut into your personal mind-space. It means not much is private. This is what has me worried about those Chromebooks, and even the new Windows 8 machines… that they’re just cheap hardware to open you to data mining. I agree on the Chromebooks and the cheap windows 8 machines. I’d be more inclined to strip those straight away and linux them up – to avoid the possible invasion. But it goes beyond that… it is about making my work my own. Good grief! That Google story is right up creepy. When I was still blogging on Blogspot, I exclusively used Iron (a hardened version of Chrome) for Blogspot and Firefox (with several privacy-enhancing add-ons) for other browsing. DuckDuckGo and Bing are also the standard search engines on my computer and phone, respectively. Your move to WordPress sure makes sense in that light – and congratulations on the fresh new layout! Thanks… And yes! I will bring that back. Thanks for swinging by, Florian. Great to see you!